Julie from the travel blog Julie Around the Globe is guest author with her article on the best places to travel alone in Southeast Asia. My first solo trip was a backpacking trip for seven months to Singapore, Indonesia, Thailand, and Malaysia. 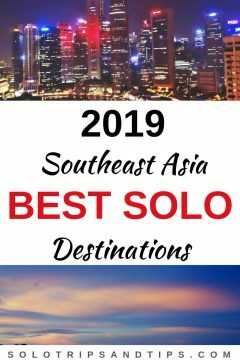 But Julie has traveled on her own since 2016 and visited many more countries in Southeast Asia. This is one of my favorite regions of the world, for the people, the food, and the beaches! My backpacking trip to Southeast Asia is still one of my best solo travel experiences ever. 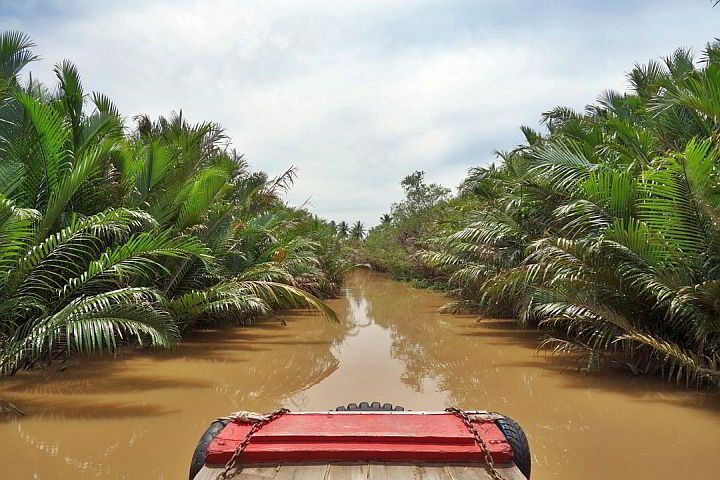 Read Julie’s picks for best places to travel solo in Southeast Asia. Traveling alone can be tough at times, but don’t let the fear of being lonely stop you from doing so. 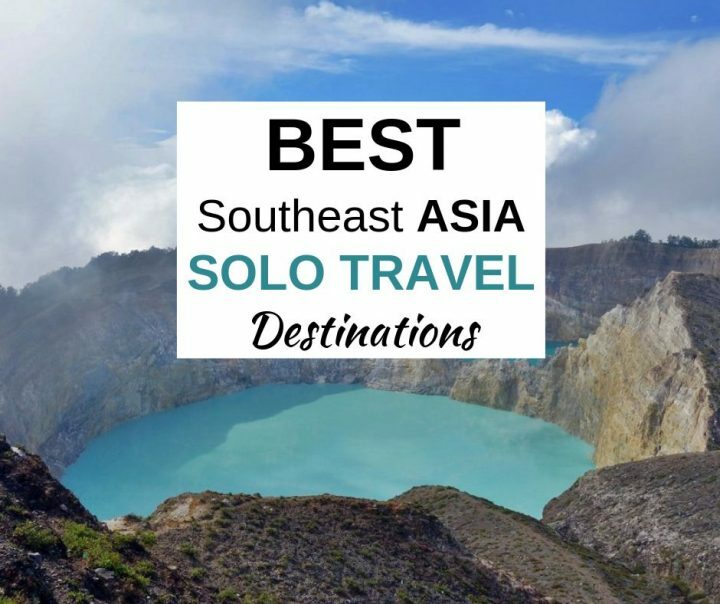 Southeast Asia is the perfect destination to start backpacking on your own. There, you’ll get tons of opportunities to make new friends or find a travel buddy. 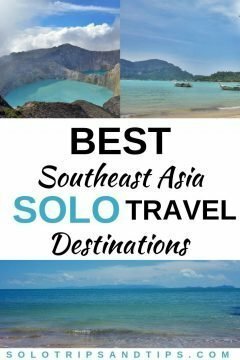 Here is a list of the best places to visit when you’re solo traveling in Southeast Asia. Apart from being home to one of the best cuisines in the world (and the famous egg coffee), Hanoi is a perfect example of organized chaos. If you want to settle your nerves for life, try driving a scooter there. 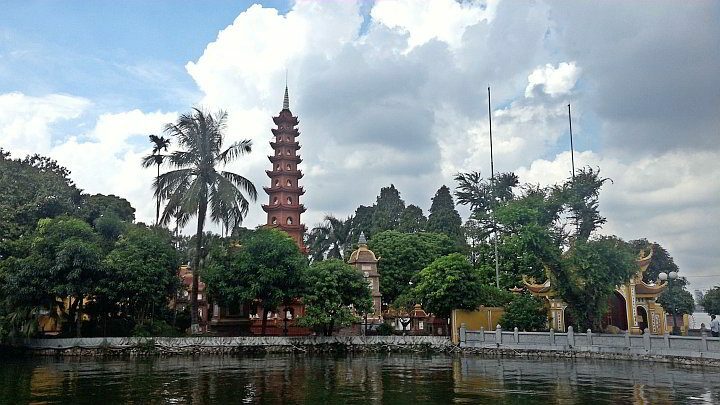 Hanoi is a great base to explore Northern Vietnam, from there you can quickly get to the Halong Bay, Sapa and Ha Giang. It’s also the perfect place to chill for a few days, they are tons of backpackers, cafés, restaurants, and bars. If you want to take a cooking class, Hanoi one of the best places in Vietnam to do so. There are also a lot of cultural activities going on for locals as well as for foreigners. Tips: Hostels in Hanoi sometimes have bedbugs. The staff usually respond quickly to fix the problem, but checking the last few reviews before booking can be a wise decision. Some travelers swear by Hanoi other by Ho Chi Minh, also known as Saigon. The food is just as good, and everything is cheaper. It’s also a great place to meet people, it’s full of hostels, and the CouchSurfing community is really active. There are also tons of events for expats and travelers where you can get the chance to meet more people. And you can visit the city’s numerous museums or take a day trip to the Mekong Delta, the Cao Dai temple or the Cu Chi tunnels. You might feel a bit alone at times if you’re solo traveling in Laos, but Luang Prabang is a great place to meet people. 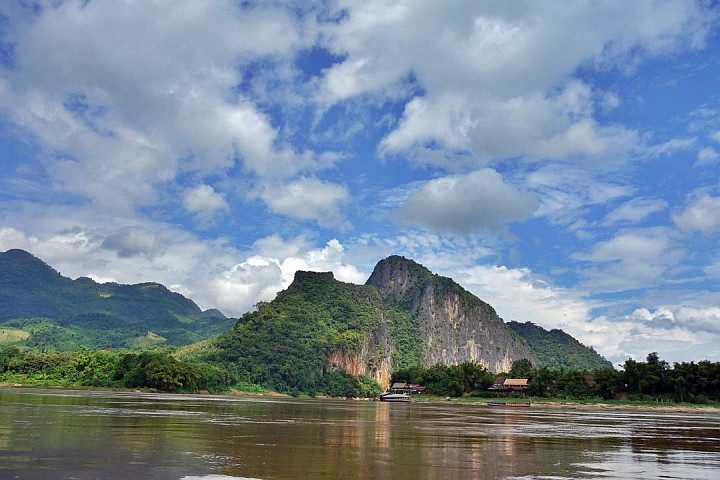 It’s a must-go for people visiting Laos, and the city is mostly kept alive by tourism. There are a lot of hostels as well as middle-range accommodations and a few luxury hotels. The town is pretty small, so you can easily meet people. Don’t miss the alms giving ceremony (inform yourself on how to behave before going to one) where people offer food to the monks, it takes place every morning. There are also several incredibly beautiful waterfalls in the area and a cave temple worth visiting. Luang Prabang is the religious capital of Laos – in the city, you’ll find dozens of temples and monasteries, some built centuries ago. 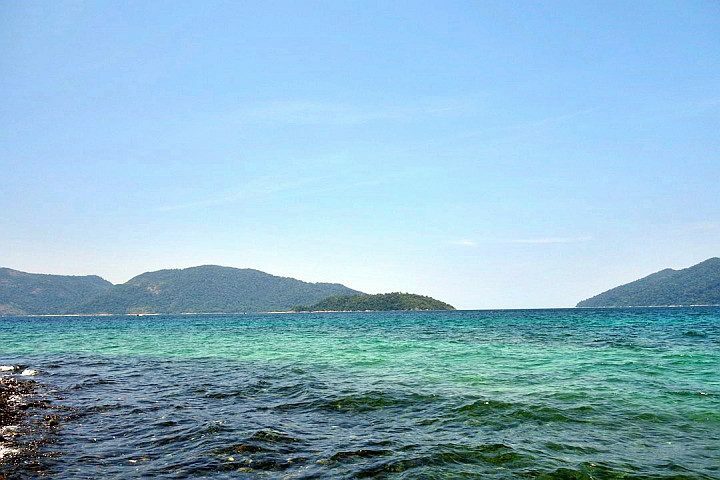 Careful here, if you go to Koh Rong you might never want to leave. It’s not yet crowded by tourists, but it’s more and more on backpackers’ radar. It’s definitively a place to relax. Here in Koh Rong island, no roads, internet access is scarce, and electricity doesn’t run 24/7. The shore is gorgeous with more than 40 kilometers (24 miles) of sandy beaches and crystal clear water. There all kinds of accommodation options and several bars and restaurants. If you like partying, every month there’s a full moon party on a secluded beach only reachable by boat. Koh Phi Phi is a great place if you like partying and going to the beach. The island is super small, and everything is concentrated in the same area. In Koh Phi Phi, you can party all night long on the beach, gazing at the stars, if you don’t like the song then just walk a few meters to the next bar. You can also join a party boat (or a regular one) and go island hopping for a day. Near Koh Phi Phi, you’ll find Maya Bay, also known as the beach from the famous movie “The Beach.” The bay area has been closed off to allow its restoration as tourism has had a terrible effect on the environment here. You can now only see the beach from a distance. It’s supposed to re-open, but there’s no set date and the number of people allowed on the island will be limited. Thankfully, the area is still full of breathtaking beaches you can actually visit. What would be a visit to Thailand without going to a world-renowned full moon party? The full moon party at Koh Phangan is one of the biggest open-air parties in the world, it’s a must-live experience if you like partying. If you cannot make it to the full moon, they also have half moon and dark moon parties. 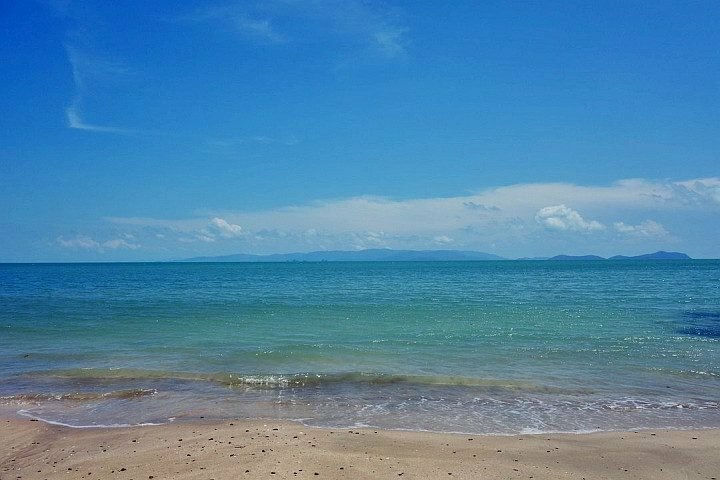 Koh Phangan is not all about partying, the landscape is beautiful, the island is mostly undeveloped and full of lush vegetation. 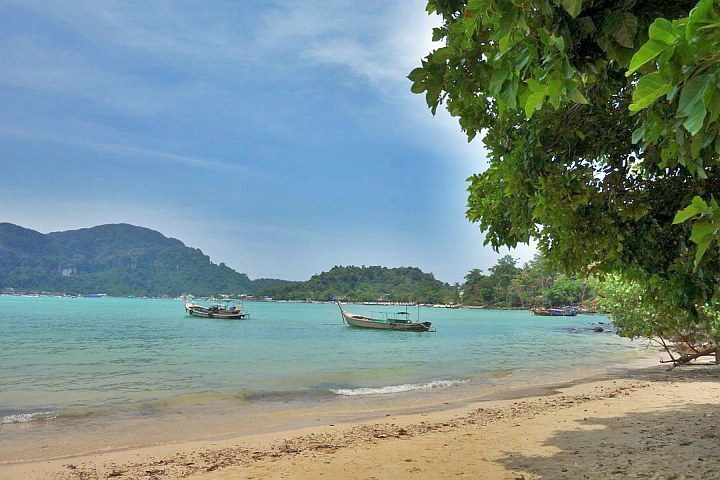 The beaches on Koh Phangan are pristine, with crystal clear water and white sand, perfect for snorkeling. 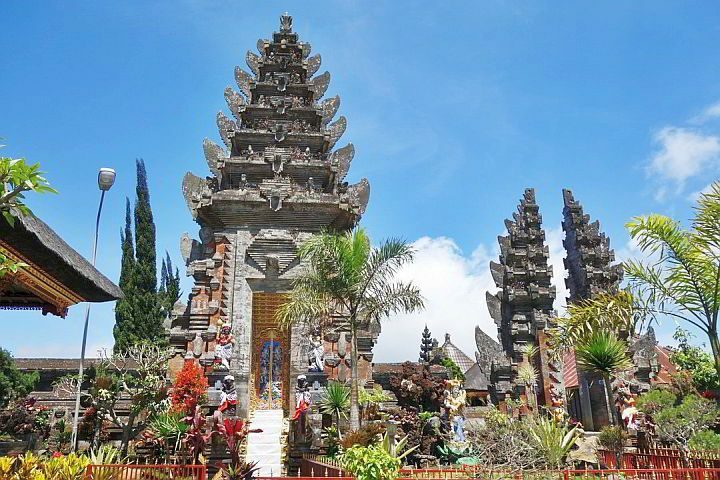 Bali is a backpackers and expats mecca, if there’s a place in Asia that has been entirely built for foreigners it’s Bali. Among the most popular spots are Nusa Penida, Ubud, and Kuta. Kuta is by far the most crowded area of Bali, that’s where you’ll find all the night clubs and bars, the beach there has nothing exceptional so unless you want to party head for Ubud or Nusa Penida. 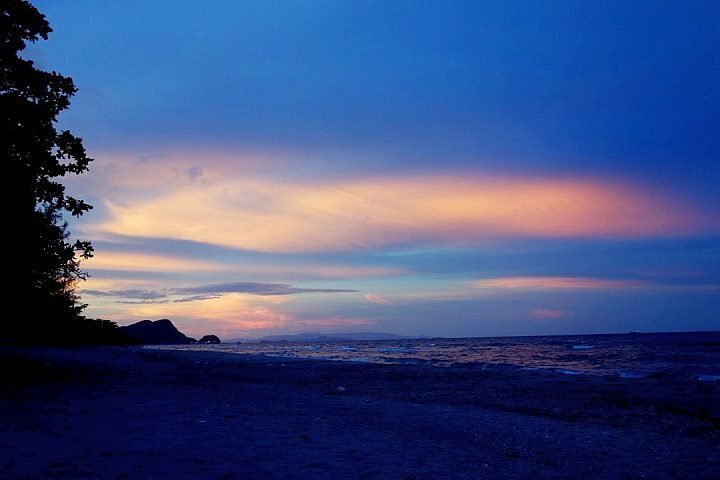 Nusa Penida is more of a beach destination, while Ubud more of a nature and spiritual destination. In Ubud, you can find a hostel surrounded by rice paddy fields, see a traditional Balinese dance show and rent a scooter to visit the nearby Hindu temples. Tip: Remember that Indonesia is a deeply religious country, even if the vibe in Bali is more relaxed, don’t walk around in swimsuits unless you’re on the beach and cover yourself when you’re outside of touristy areas. What is great about Flores is that if you decide to explore the island, there’s only one itinerary possible, so you’re bound to meet people who are heading the same way as you. You can easily find a travel buddy for a couple of days. In Flores you can do some diving and see the famous Komodo Dragons, a short boat trip from Labuan Bajo to Komodo Island. 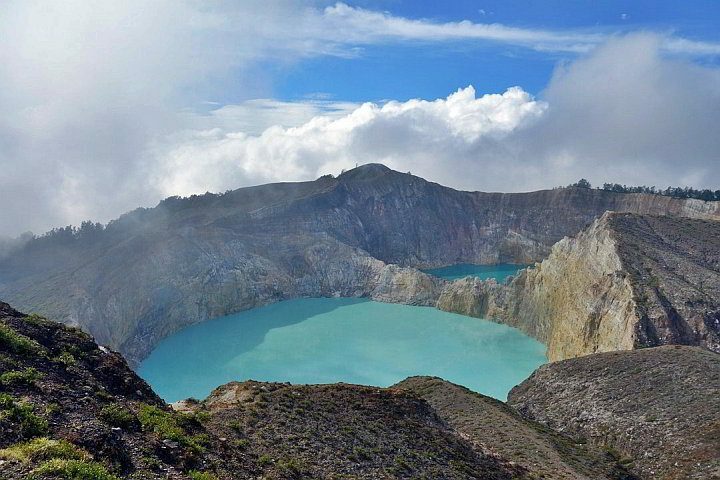 (Editor’s note: Komodo Island is apparently closing in January 2020) You can also spend a few days in Bajawa and visit several Ngada traditional villages, and don’t miss the beautiful Kelimutu volcano and its three colored lakes. Siquijor is a great island if you’re looking for a place to relax. It’s quiet, yet you won’t get bored. And it’s filled with hostels and bars playing live music most of the nights. Plus it’s also a great place to learn more about the Philippines’ faith healers. 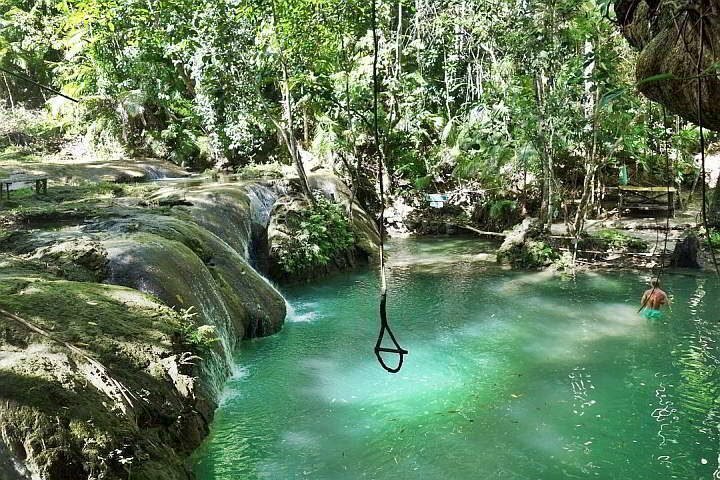 In Siquijor you can go diving to nearby Apo Island, enjoy the beach and go waterfalls hopping. Many travelers come to Siquijor, yet it’s far from being crowded with tourists. Most people stay in San Juan, that’s where you’ll find all the hostels, bars and restaurants. There are also a couple of nicer hotels if you want to treat yourself. From San Juan, you can easily rent a scooter and explore the island. Tips: most of the boats arrive in Larena or Siquijor (the town), it’s a bit far from San Juan and a private tricycle is expensive if you’re alone. If you arrive before 5 pm, you’ll find shared tricycles in both cities, at the market. You’ll have to change tricycle in Siquijor if you arrive in Larena. 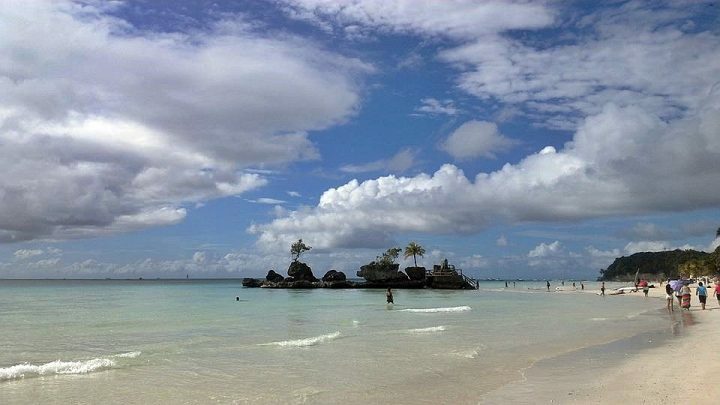 Boracay is one of the most beautiful beaches in the Philippines , it’s also where you’ll find the most fellow travelers. It’s a great place to enjoy the beach and buzzing nightlife. Boracay is full of party hostels, bars, and nightclubs. It was recently closed off to tourism (in April 2018) due to environmental issues and has been through several changes before it reopened in late 2018. To develop a more sustainable type of tourism, numbers of visitors have been limited, and drinking on the beach has been banned, among other rules since the reopening of Boracay. Siargao, also known as the surf capital of the Philippines, is one of the country’s tourism hot spots. As almost every island in the Philippines, beaches are gorgeous, and locals are friendly and welcoming. Most people come to Siargao to surf, but there are tons of other activities you can do such as diving, snorkeling, partying, or simply going to the beach. It has a really laid back vibe, it’s not over-developed and crowded like Boracay, but still, most backpackers coming to the Philippines include a stop to Siargao on their itinerary. Georgetown, on Penang Island Malaysia, is a great place to meet people. There are a lot of expats there, and the city has an important cultural scene, with regular events and festivals. The town is famous for its street art, but a lot of other things are going on. The Couchsurfing community is really strong there, they organize a lot of meetups and events for backpackers. The nightlife is great, there are no big night clubs but a lot of bars with live music, pool tables, happy hours and such. Georgetown is also full of cute little cafes with great internet connections. 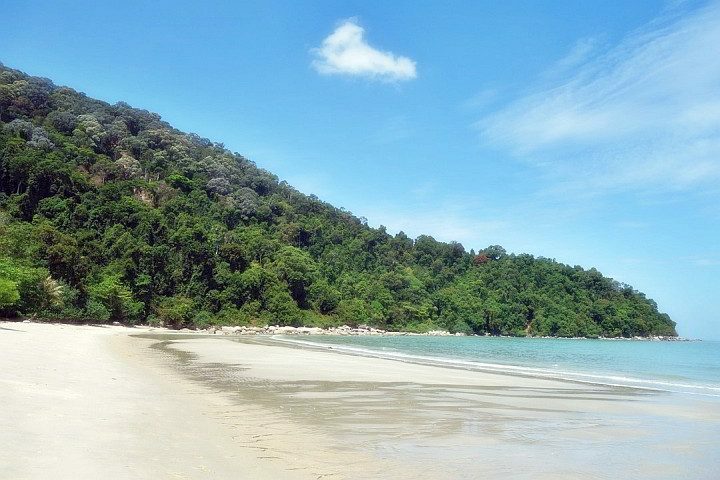 If you like trekking, you can also visit the Penang National Park and its beautiful Monkey Beach. Even though Singapore is a huge city, it’s a breath of fresh air when you’ve been traveling through SEA for a while. It’s clean, there are sidewalks, and public transportation is well organized. 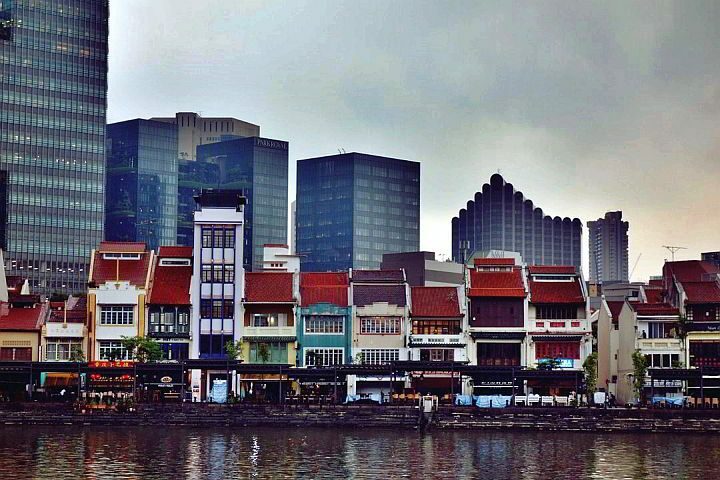 Singapore is a cosmopolitan country, a blend of hundreds of different cultures. It has a lot to offer, and whether you like museums, nature, architecture, history, culture, gastronomy or partying, you’ll find something you like. Most hostels are in Chinatown or Little India. Both are great neighborhoods to meet other backpackers and explore the city. Hostels organize a lot of activities. You should try joining a walking or cycling tour of the town, it’s an excellent way to socialize. Tip: if you’re coming by bus from Malaysia, there’s a scam going on where the bus driver won’t wait for you at the border, and you’ll be forced to buy another ticket to get to the center. To avoid this, make sure you keep your bus ticket and don’t take the last bus of the day, this way you can get on the next bus from the same company. Save it on Pinterest for later! How about you? Do you have a favorite place in Southeast Asia where it’s easy to meet people while traveling solo ? Leave your comment below. About the author: Julie has been traveling full time since 2016 and is always on the lookout for great destinations and travel hacks. 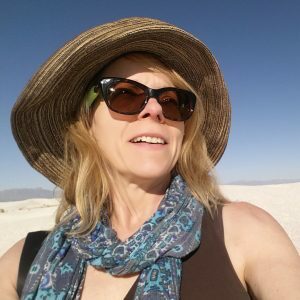 She shares her best travel experiences on her blog Julie Around the Globe and aims to inspire others to travel more and to places less known. Follow Julie on Instagram. « Awesome Things to Do in Lafayette Louisiana the BIG List of Stuff to Do!